RGB led garden flood lights fully waterproof and uses AC85v-265v, multi color changing and remote control. 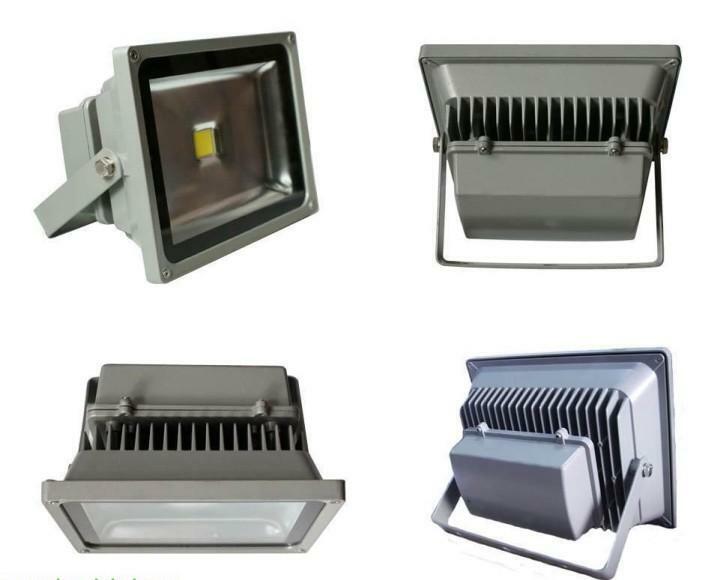 The floodlight suitable for Building outdoor illumination, hotel, garden landscape and many more floodlighting applications.Item TypeColored RGB LED Flood light Input Voltage AC85-265V/50HzMaterialDie-casting aluminumCertification CCC, CE, ROHSIP Rating waterproofIP 65Life Hours50000hoursLight SourceLED ChipBridgelux, Cree, EpistarWorking Temperature-40℃-50℃Color Temperature2700K--6500KBeam Angle120 degreePower Supply Efficiency>97%Delivery Period10 working daysWarranty 3 yeas Power10watt20watt30watt50wattLuminousFlux9000Lm1800Lm2700Lm4500LmFeatures: 1.Low consumption, high brightness2.Very low heat generating, besides saving light power3.No radiation, safe, stable and reliable4. This flood light is quick and easy to install and with remote control to support multicolor changes.